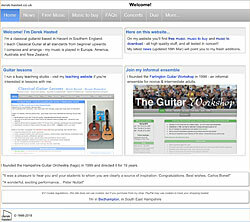 If you want to one-to-one or group lessons, visit this website to find out more. 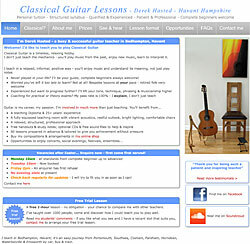 Derek is a qualified and experienced Guitar Tutor with Enhanced CRB clearance and an impressive CV. Limited vacancies - senior Citizens & complete beginners are especially welcome!